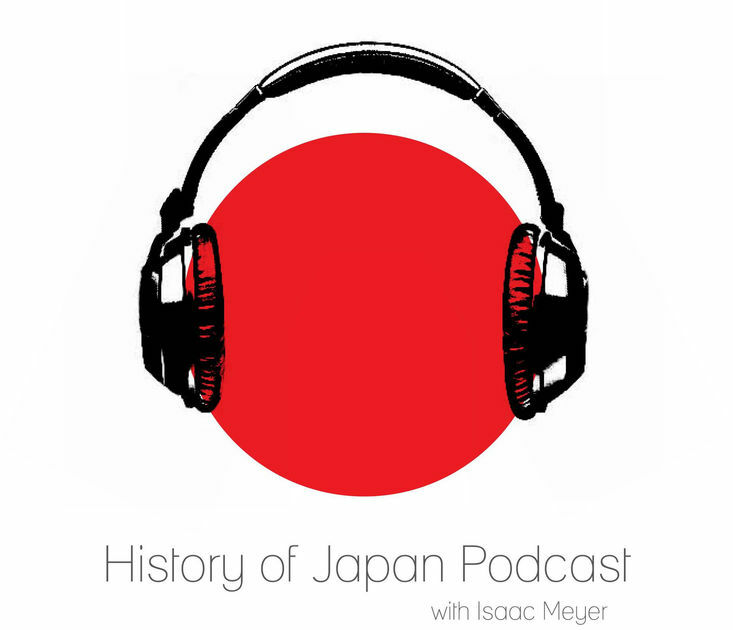 Isaac Meyer is the host of the History of Japan Podcast 💠 He is a former grad student who did his graduate research in modern Japanese history (and modern China and European history). After several trips to Japan spanning 12 months, he got the idea to do a podcast on the country’s rich history after discovering Mike Duncan’s History of Rome and Laszlo Montgomery’s China History Podcast. Six years on, the show is still going strong and is on a mission to cover the entire span of Japanese history. Isaac is a teacher at a private high school and lives in Seattle. Isaac will be live on Mar 27 starting at 930am ET for one and a half hours to answer as many questions as possible. Feel free to start asking Isaac questions any time in the lead-up to the AMA. Thank you for the terrific podcast. My questions are about the sons of Oda Nobunaga. Were they considered for succession, even if controlled by a guardian? What happened to them? How did Toyotomi Hideyoshi go around them to become the second unifer of Japan. It is interesting that Oda’s sons were disregarded yet so much was devoted to securing succession for Toyotomi Hideyoshi’s son. Hey there Rob! Thanks for listening; you’ve been a part of the show’s facebook page for a while now, right? So, Oda Nobunaga’s kids were considered…sort of. In traditional succession dispute fashion, each had backers among Nobunaga’s surviving generals — however, it was always fairly clear that nobody planned to give the kids actual power. Instead, they were trotted out as symbols of legitimacy, and discarded fairly quickly once they were no longer necessary. For example, during his first abortive bid for power in the 1580s, Tokugawa Ieyasu claimed to be acting in the name of Nobunaga’s son Oda Nobukatsu. So yes, Nobunaga’s kids were still a part of the succession question, but they lacked independent authority (and especially independent armies) and were thus political pawns more than anything else. I have just caught up with your podcast episodes and it was quite a journey. The podcast is amazing and thank you for creating it. As I’m studying Japanese language and have an interest in history, I find it the perfect form of entertainment. I did come up with some questions, however they are only vaguely related to history so feel free to ignore them if they are a bit too off. Also, some of the questions you might not know the answers to but you will definitely have a better idea than I do. 1.How is history taught in Japanese schools? How much is left out? 2.What is the perception modern Japanese would have of Koreans and the Chinese? Taking into account their history. 3.Will the ama be recorded? As I might miss it on the day. 4.List of favorite books by Japanese authors? Any recommendations? Hi Dace! Thank you for the kind words, and the questions! They’re really interesting, and I’ll do my best to answer. 1) Modern Japan’s school system is far more centralized than what we have in the United States, so most subjects, including history, are taught in a very standardized manner. There’s a national standard produced by MEXT (The Ministry of Education, Sports, Science, and Technology — I have no idea where they got the acronym from). Local districts are then charged with implementing it, but the standards are exact enough that in practice this really only means a choice of what textbooks to use and what order to tackle the material in. The education system is also very test driven, and most college entrance exams have a world history or Japanese history component (or sometimes both). All in all, it seems to me like a structure that is poorly adapted to the two most important parts of teaching history — building interest in the subject in students (which requires giving teachers and students the freedom to pursue their passions in the classroom) and building good historical skillsets around research and investigation. 2) This is pretty variable, of course, and particularly thanks to the politicization of Japan’s recent history it can vary a lot based on a person’s political leanings. Broadly speaking, I tend to think of the Japanese attitude towards the rest of East Asia as existing along a spectrum, where one end is the “escape from Asia” crowd. These are the people who think that it’s in Japan’s interest to clearly divorce itself from the rest of Asia and to build up an image as a Western nation to the greatest extent possible. On the other end, you have the more “Asian unification”-oriented Japanese, who talk about a single East Asian culture stemming from China and how it unites nations across the region. There’s obviously a lot of variability between those polls, but in my limited experience people tend to trend more towards one or the other. That, in turn, is a pretty good predictor of political views on foreign policy — escape from Asia types tend to support a more aggressive Asian foreign policy, while the opposite side tends to promote conciliation over lingering World War II issues and negotiations over territorial disputes. 3) It’ll stay up here, so you can always return to it! I’m glad it’s just typed, though. Nobody wants to hear what my voice sounds like before my second cup of coffee. 4) Ooh this is hard. I have a fondness for Murakami Haruki, of course. He’s one of the great authors of the modern world, and can be very funny. That’s something I really appreciate, because I’ve often found that more “literary” authors can come off as a bit joyless. I also really enjoyed some Yoshimoto Banana short stories that I read in Japanese class back in the day, and keep meaning to check out more of her stuff. Of course, Akutagawa Ryunosuke is the best place to start — there’s a reason Japan’s biggest literary prize is called the Akutagawa prize. I also have Ishiguro Kazuo’s Never Let Me Go on my shelf, which has gotten some great reviews. I’m excited to check it out. I’ve read a bit of Higashino Keigo, and enjoyed that as well. After the Teigin Bank episode, I’ve been meaning to find some crime novels by Matsumoto Seicho as well. For first time visitors to Japan which historical site(s) do you recommend they visit that best embody the history and culture of Japan? Oh man, as someone who has started planning a honeymoon in Japan, I have a LOT of feelings about this topic. Let’s see. Kyoto is easily my favorite city not only in Japan but on the entire planet. It’s not pretty in the same way that, say, the skyline of Shanghai is pretty when viewed from the Pudong River, but it’s like living inside a historical treasure chest. Turn the corner and you can just stumble into a 1000 year old Shinto Shrine tucked away next to a Lawsons, or find some lovely little restaurant with a great ambiance and a view of the Kamo River. If I’m remembering the numbers right, there are 1100 Buddhist temples and 700 shrines within the city, so no shortage of things to find! Plus, the bigger sites are all majestic in their own ways — Kinkakuji is beautiful, as is Ginkakuji, and Fushimi Inari shrine is just otherwordly in a way that is hard to describe. You’ve also got Nara and Osaka as great day trips. Tokyo is, of course, the heart of all of it. It’s hard to avoid spending some time there (after all, it’s where the most popular airport is) and there is a LOT to do. I tend to associate the city with work from my grad school days, but there’s a lot to entertain you as well. You’ve got shopping districts like Harajuku, nerdy stuff galore in Akihabara (be sure to pop by Kanda Myojin shrine to get your electronics blessed), and museums everywhere. I’m very partial to the weapons collection at Hiei Shrine and to the Studio Ghibli museum, personally. Plus, Nikko and Kamakura are easy day trips, and Kamakura in particular is just lovely. If you REALLY want to dive deep in history, Yokohama also has some great stuff left over from the early Meiji period. Also, good city for baseball. Hiroshima has, of course, a pretty central theme around the atomic bomb, and the peace park is worth a trip. But the city has more going on than that — it’s got some fun touristy areas too. Plus, you’re an easy day trip from Itsukushima, which is the place with the shrine where the gate is partway in the water (if you’ve never seen it, google some photos). It’s quite something. For the best experience, I recommend staying overnight in Itsukushima and then going out to the shrine gates at low tide. Finally, I HAVE to mention one place that tends not to get mentioned so much — Hokkaido. I lived there for about two months in 2009, and I LOVED it. It was hard to get around without knowing Japanese (though I haven’t been back in almost 10 years, so maybe that’s changed). But Hakodate is a beautiful city, and I liked Sapporo — most people tend to rag on it as Tokyo Lite, but I found it kind of charming. Plus, the Sapporo Beer Factory and the Meiji Chocolate Museum are hilariously weird. Hokkaido also has some of the best damn food I’ve ever had in Japan. Fresh seafood, and one of the few areas where cheese is relatively easy to come by (which for long stays is highly essential). So, there are a few ideas. I’ve actually never been further south than Shikoku (which is also nice, but I wouldn’t list it as essential for a first time visitor). I’m told there’s some great stuff to see in Kyushu, and I do really want to go to Kagoshima one day. Hope this helps! 1. I remembered you saying that you specialized on 1930s Japan. Apart from that, what other period would be your favorite? 2. 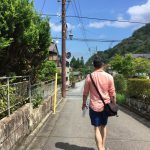 What is your view on Japan’s current state of its nationwide ‘Galapagos syndrome’? 3. What are your thoughts on current Japanese politics, most notably the impending post-Heisei period? Oh man, I would love to do more stuff with literature, but it’s also not my background so I have a constant fear of making some very obvious mistake in my research or something. But I do have some ideas. I really enjoyed doing the Ihara Saikaku episode in particular. Probably would want to do one on Murakami Haruki’s career at some point, and maybe Edogawa Ranpo’s too because I love a good crime story. 1. Oh lord, this is like asking me to choose a favorite child. I suppose if you put a gun to my head, the Bakumatsu/early Meiji period, from about 1854-1877 would top the charts. It’s this incredible mix of old and new Japan, and it’s really cool to see family names you recognize from reading about the VERY early Tokugawa period alongside names that have a lot of resonance in modern history. Plus it has assassinations, war, political double dealing — all the good stuff. That said, I do also enjoy reading about the height of Tokugawa Japan, even though it’s outside my specialty. It’s really interesting to see feudalism adapted to the context of a peacetime government that’s trying to centralize itself, and how those compromises worked to make a functional (if extremely complicated) system. 2. This is actually something I feel really strongly about. In my current line of work, I have chances to work with exchange students from all over the world, but mostly East Asia (since Seattle is a fairly close place for Asian students to come and study in the US — that 10 hr flight home is a LOT less miserable than 14+ from the East Coast). Getting those students to look at other cultures from their region with fresh eyes, divorced from the stereotypes, is VERY important to me. For the Japanese kids, that means essentially making the argument to them that while Japanese culture is fantastic and beautiful, it’s not so unique that it cannot function or be understood outside of Japan (which, for those of you reading this, is what the Galapagos Syndrome idea refers to). The failures commonly attributed to Galapagos syndrome (like, for example, the failure of Japanese 3G smartphones to succeed outside Japan prior to the iPhone) has more to do with a failure of overly conservative and lazy corporate leadership than it does something unique to Japanese culture. I really try to reinforce the idea that for a long time, the official narrative about Japanese culture was entirely the opposite — the Japanese people and government prided themselves on their ability to take ideas from outside, adapt them, make them better, and then ship them back to the same people they got the idea from. Galapagos Syndrome is merely an attempt to change the narrative to cover up for the failures of modern leadership. 3. So I should probably cop straight away to the fact that my sympathies lie much more with the opposition than with the ruling LDP. I find the LDP’s cynical use of historical issues in politics to wrangle votes pretty hard to swallow, and while I do have sympathy for the more technocratic bits of the LDP platform I also find PM Abe’s politics around the military VERY misguided. That said, the Japanese opposition is a total mess, so I’m not too confident in their odds if they can’t even wrangle together an agreement to caucus as a group. I’m not too hopeful about much changing without a strong political leader to challenge Abe. I had hoped for a bit that Murata Renho might manage it; her Taiwanese background would disqualify her to Japanese conservatives, but I’d hoped it would serve as a rallying point for more left-leaning Japanese eager to change the country’s narrative on Japanese identity. Not so sure that optimism was well founded, though. That said, Abe’s popularity is plummeting now, so maybe things will change. Who knows? I do think his pet issue of changing article 9 is now dead in the water — his economic policies have failed to deliver consistently enough to draw attention away from that wildly unpopular notion. When identifying historical Japanese characters, the convention appears to be surname first and then given name. Contemporary Japanese folks are commonly (but now always) identified by given name first and then surname, unlike their Chinese or Korean counterparts. When did this change occur? This is a shift that began during the Meiji period but really took off during the postwar period. The idea is essentially to go easy on foreigners by giving names in an order that foreigners are used to. Personally, I find it very condescending and get super annoyed when people do it. I’ve given more than a few very nice people an earful over it. Not sure who started the trend, but I plan to be the one to end it! We foreigners are more than capable of learning basic facts about other cultures! And once we get that down, we can start to work on bowing. a) what aspect of groups such as the Shinsengumi endeared them to the point of becoming cultural touchstones in Japan? Clearly, history offers no precedent to them being featured in a dating sim. And yet, there they are. Was it a matter of simply commercializing historical figures that teens would be familiar with from history class? b) i’m sure you’ve attempted to research the topic of secret societies in Japan for a potential episode, and you’ve noted how difficult it is to obtain reliable information about them. Out of all of them, which tend to be the most documented? c) how do you find that students respond to your interest in Japanese history? do they tend to listen to your podcast, or do they not care. I find that people my age and younger are less and less interested in talking about and learning history, but I’m not quite sure why. I thought that as a high school teacher, you might have some insight. d) if (and I assume when) you return to Japan for at least a visit, where do you plan on going first? And lastly a comment: thanks for all you’ve done. This podcast has helped me through a lot over the years and I can’t say enough how much I appreciate the time you’ve put into this. As much of a trek as it can be to listen to the longer series and learn about the ins and outs of the more complicated periods of Japanese history, I can’t imagine how difficult it was to produce such series. And for that, I am eternally greatful. a) You know, I think a lot of this has to do with two factors. First, there’s this tendency in Japan (and other places) to romanticize figures and groups perceived as doomed. The Shinsengumi fought and lost, and a few kept fighting even when it was clear they would lose, and that gives the things they did a sort of romantic aura that is very attractive. This is the kind of thing Ian Morris talks about a lot in his book The Nobility of Failure, but I’ve also been rereading that for a new episode so maybe I just have it on the brain. Second, the Shinsengumi in particular feel like this throwback to older values in a way that has an attraction as well. Their intense code of conduct evokes very romantic ideas about samurai “chivalry” in an age where that idea is dying off, which also gives it an attraction. This is, to be fair, not unique to Japan — look at how successful, say, Outlander has been as a series. That’s a show/book series that’s about (among MAAANY other things) the death of an old way of life (the Scottish Highlander) in the face of outside pressures (those damn British). As to the whole dating sim thing, I’ve actually been thinking about doing an episode on this. My experience is that when Japanese creative types adapt historical or mythological stories, they’re less interested in telling the straight story or being accurate to the narrative, and more interested in evoking a set of archetypes and themes associated with that story. That’s what creates Shinsengumi dating sims, or franchises like Dynasty Warriors/Samurai Warriors, or games like Okami. It’s a different emphasis in what matters about the story. b) Probably the best documented ones are the Sakurakai (because of its involvement in the well researched coup attempts of the 1930s) and the Black Dragon/Amur River Society because of its longevity and reach. I’ve come across some really intriguing research suggesting connections between former Black Dragon members and revolutionary nationalists in other countries, and considered making a series about it if I can find enough good material. c) The students who take my 12th grade class are self-selecting to be in an elective with me, so they do tend to have pre-existing interest. Though some of them take my class not because of the material, but because (if I do say so myself) I have a reputation as a pretty solid teacher. A few of them have found my podcast, or I’ve shown them the RSS feed after we got onto a related topic (say, projects we do in our spare time). That said, with Japanese history and history in general, I do find that some, maybe even many students come in with a predisposition towards the idea that history is boring or unimportant. I don’t blame them for that — I blame a society that de-emphasizes history as a field and instructors who focus first on specific unit content (we HAVE to do a unit on X, and you HAVE to know facts y and z for it) over simply developing student interest. To an extent, yes, history requires you to learn some dates and names, but more often than not those dates and names have great stories attached to them, and if you just tell those stories and show how they are fun, students respond to that. I suppose in summary, I don’t blame the kids. The kids are alright. I blame systems that seem designed to make kids not want to engage with what is, objectively, the only high school subject where you can have a conversation about how to most effectively build a pyramid from human skulls and have it be a part of the curriculum. d) I hope to get back next year for my honeymoon, and when we go I’m hoping to see southern Japan. I’ve actually never been to Kyushu, so I’m hoping to see it. But I also want to see Kyoto again because I love it, and I think my wife would like Tokyo. Plus I haven’t been to Hokkaido in almost 10 years. Too many options! Thank you for the kind words. Hearing that the show means something to people is what makes it worth doing. You are appointment listening for me Isaac! How are you able to keep a weekly schedule like you do? How do you determine your topics? You changed your website to isaacmeyer.net because you wanted to do other projects. So, what other projects do you have in mind? I got interested in the idea after listening to The History of Rome and the China History Podcast. Mike Duncan, in particular, was a big inspiration — I think my early episodes kind of suffer from my attempts to immitate his style instead of finding my own. Anyway, I wasn’t sure anyone would actually listen, but my then girlfriend (now wife) convinced me to give it a shot with a cheap mic and basic hosting. And the rest is history. I’ve got a pre-determined schedule I stick to. Weekends are for brainstorming ideas and locating sources, then the first four days of the work week I spend about 60-90 minutes a day drafting and editing the script, and then Friday is recording day. That really is the secret. If you can build a consistent schedule and stick to it, things just become automatic. Topics are determined based on three factors: my personal interest, expressed fan interest, and quality of available sources. I’ve got a highly official google doc that keeps track of topic ideas with some entries for each of these things, and beyond that it’s a simple matter of just picking what I find interesting. Sometimes, outside factors intrude — for example, that Meiji Restoration series was an outgrowth of my PhD oral defense, for which I had to cover that topic rather exhaustively. So, at some point, I’m going to move off the History of Japan as a project. Probably sooner rather than later, because I’ve been at this for, oh lord, five years now? I’m ready to try something new. That said, there will be plenty of advance warning when that time comes. And when it does, I have two new project ideas. The first is to take the HoJ formula and apply it more broadly to world history. I want to look at famous moments throughout history and explore how they remain relevant to the modern day. The second is to do a show with my wife on the history of crime and criminals, because it’s something we’re both really interested in, and the idea of being a podcasting power couple sounds pretty fun. I know folks would be sad to see HoJ come to a close, but I hope those project sound intriguing enough that they’d stick around to try out something new. Heya, I’m wondering if you looked at any of the family records used to discriminate against the Burakumin, are there any translated copies of them? Not to my knowledge. The records are used mostly within Japan for exciting bureaucratic purposes. I know there are firms that specialize in translating them into English where necessary (say, for visa applications), but to my knowledge there aren’t any publicly available English translations. Honestly, I’d settle for ones that are simply available online with less of a hassle. Hello Issac, I just want to say your latest episode “a people apart” was the most informative and neutral information about Buraku people I ever had. As a 34 year old Japanese woman it’s been hard to get simple Buraku history in Japan since it’s still a taboo to talk about. (And all those internet sources seems a bit biased.) so thank you. Thank you for listening! I’m glad it was informative. I did my best to bring in as many different perspectives as I could. The burakumin issue is a really important one, so I was happy to do my part to shine some light on it. Bear with me for this long introduction but I think it will pay off. Your podcast is fantastic, the way in which you handle the subjects, even if they are complicated or if they very politically charged in nature is something to learn from. I’ve been posted, now for four years, in Japan as an Attache on an Embassy and I’ve been lucky enough to have met members of the Imperial Family, included the Crown Prince and High ranking government people, including the PM. Thanks to your long running series of podcast I think I have been able to appreciate those meetings even more, see them on a different light, something that is fundamentally different that from a book, specially since they are very general but insightful in nature. For that I thank you very much. 1.- Whats the story of Kabukicho? Was it always that way? even in Edo period? 2.- Apparently a letter written by Akechi Mitsuhide was discovered last year. Do you think it shines new light into the Honno-ji incident? 3.- Could you give your opinions about and around the battle of Sekigahara? I visited the place, I was shocked of how small the the battlefield was giving the amount of people battling there. I highly recommend it if you get the chance to visit. 4.- Could you also one day make a podcast about Japanese music, classic and contemporary? I think it could be interesting. 5.- If you get the chance to bring back from the dead 3 people from Japan to interview them, 15 min each, which ones would it be and what would you ask them? Thank you again Issac and if by any chance you are coming to Japan before I get posted to another country, I would very much like you to treat you to my favorite restaurant in Tokyo. 1. The Kabukicho district is actually a fairly new one. My understanding is that the name came from a planned Kabuki theater that was never actually built because the funding disappeared. Originally, the area was swampland, and then light industry that was bombed out during the war. The, shall we say, seedier aspects of the neighborhood are outgrowths of the failure of that theater project, which left the neighborhood without an economic base that more entrepreneurial minds stepped in to provide. In particular, I’ve read that overseas Chinese families helped fund a lot of the businesses both legitimate and less legitimate, because the entertainment industry was one of very few after World War II where foreign investments were not regulated (as they were with, say, any kind of heavy industry). The traditional prostitution district, the Yoshiwara, was closer to what is today Nihonbashi. 2. I had actually not heard of this letter before, so thank you for teaching me something! Apparently, it suggests that he wanted to try to restore the Muromachi shoguns to power? Personally, I doubt that was the case — it seems like a political fig leaf designed to legitimize his own power grab. But one of the major criticisms I’ve always heard of Mitsuhide was that he was less than energetic in attempting to legitimize his grip on power after seizing it, and this letter seems to suggest that understanding is wrong! Oh man I love it when things like this happen. 3. I find Sekigahara fascinating mostly because of what it reveals about Tokugawa Ieyasu. I’ve always viewed generals along a spectrum. On the one end, you have tactically inclined leaders like Napoleon who can win any battle you throw their way, and on the other you have strategic generals like, say, George Washington or Mao Zedong, whose tactical insights are less impressive but whose understanding of how strategy and politics coincide enable them to direct the shape of a conflict in an interesting way. Ieyasu, it seems to me, was very keen with both — he won at Sekigahara both because of his tactical skill in preventing the opposition armies from linking up completely and because of a strategic gift for manipulating leaders on the opposing side. I’ve never been to Sekigahara, but I definitely want to go! 4. Music is not really my background, but I’ve definitely thought a bit about it, if for no other reason than the fact that mixing in clips would make for an interesting show. Maybe I’ll do a music month with a few different genres at some point. 5. Ohhhh god this is hard. OK. First, probably Tokugawa Ieyasu, simply because I’m really curious what kind of person he was face to face. I’d also want to ask him about his strategies for his rise to power; how much was him improvising, how much did he plan, that kind of stuff. Second, probably Ito Hirobumi, simply because I’d want to ask about his vision for Japan and how much the country has matched what he wanted to see it become. Third, probably Konoe Fumimaro so I could ask him why he’s such an idiot and then punch him in the nose. Thank you for the great podcast, you are doing a wonderful job. I wanted to ask you what is your opinion on history as portrayed in the media? Do you have a favorite historical movie or tr series? Ooh this is a great question. In terms of personal favorites, I’ve always enjoyed HBO’s Rome, even though it takes some fairly substantial liberties. I do feel like it captures the major fault lines of a really interesting historical moment. I’ve also been enjoying The Last Kingdom, since I don’t know much about Anglo-Saxon history and it’s a good opportunity to learn. I’ve seen bits and pieces of the big NHK historical dramas, but need to sit down and watch them all at some point when I have some free time. Maybe this summer. Personally, I’m a fan of any portrayal of history that will get people interested in the subject. Telling a good story often means sacrificing accuracy by compressing events — otherwise, things just get REALLY hard to follow. I can accept that, because my hope is that it will get people in the door, so to speak, and build interest that will then translate into the actual events themselves. There are a few ways in which things can get stretched too far in my opinion. Particularly, portrayals that are overtly jingoistic or which dramatically change a narrative from reality can do a lot of harm, because a well done drama is far more memorable than some boring person lecturing you about how it wasn’t actually like that. Lord, if I had a dollar for every student I’ve had to teach about how the Last Samurai wasn’t how things really went down in Japan I could take a nice vacation to Japan right now. But overall, I want people to care about history. If a movie, a game, or a TV show does that, I’m in favor. I mean hell, thanks to Assassin’s Creed a bunch of kids in a lecture I gave on the Italian Renaissance already knew who Cesare Borgia and Niccolo Machiavelli were, and that’s awesome! That’s all, folks! Thank you for the great questions. Let’s do this again some time!